Hate having to lug those heavy jars of detergent to the car and then into the house? 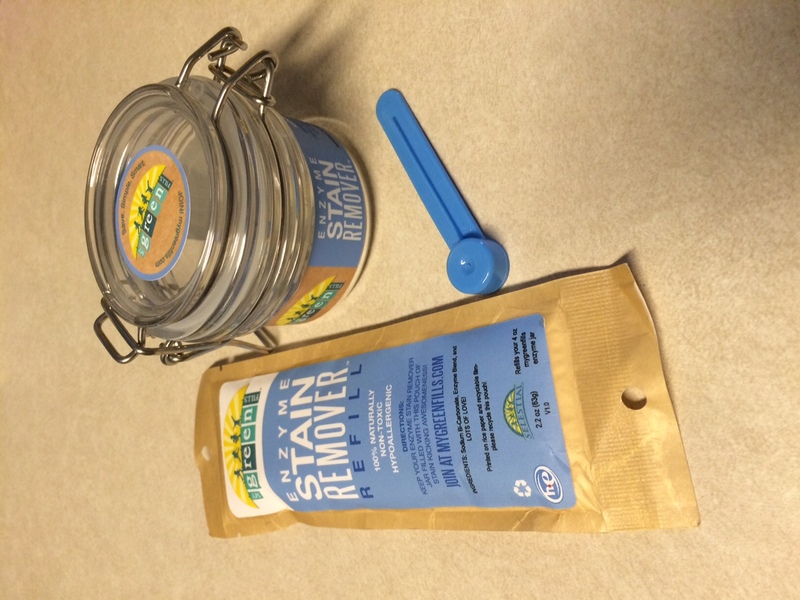 I’ve got a BRILLIANT solution for you – and it’s non-toxic, too! My Green Fills is a product created by Selestial Soaps “to create sustainable non-toxic products that work great and save money.” We agree, after trying out the samples that they sent us for review. Oh, and you can get a FREE sample, too! 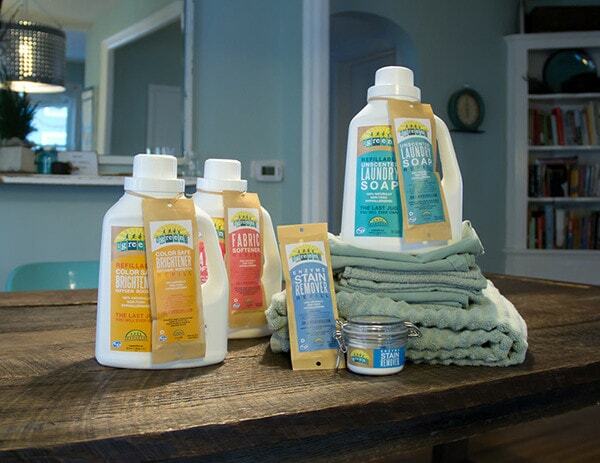 Read on…..
My Green Fills are 100% non-toxic and hypoallergenic products. The product line – Un-scented Laundry Soap, Fabric Softener, Enzyme Stain Remover, and Color Safe Brightener – are all safe to use in HE washing machines using hot or cold water. 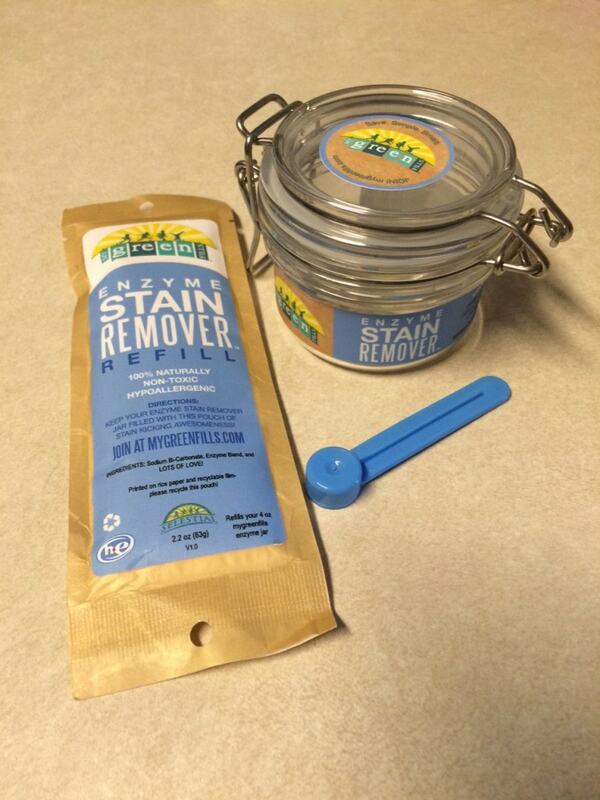 You don’t need to buy several jugs of laundry detergent, fabric softener and stain remover anymore! 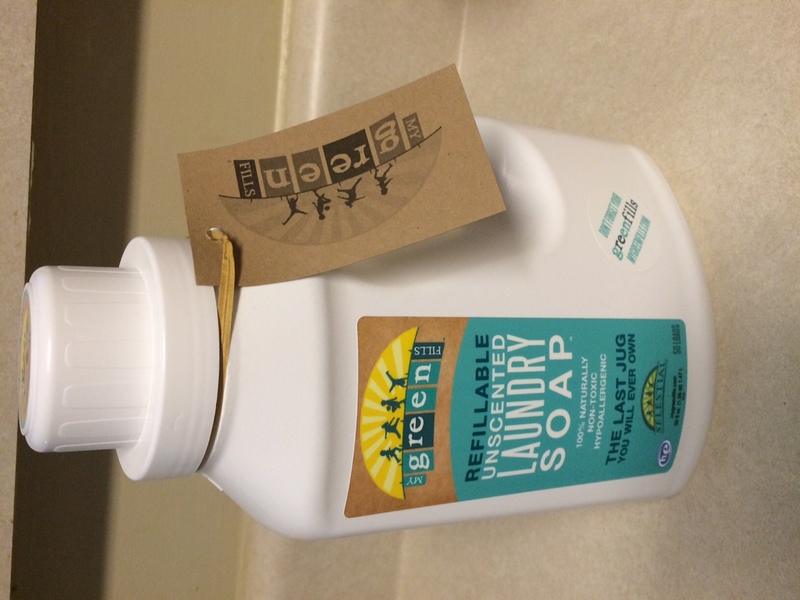 Get one jug from My Green Fills – the last laundry jug you could ever own – and they will send you refills as you need them. Simply pour in the refill pouch, add warm water and shake! That’s it. They are so confident in their products, that they are currently sending a free jug to those who go online with the promise to ‘pay it forward’; sharing the opportunity to save on waste and protect others from the harmful chemicals in traditional detergents. I used the products and am pleased with the results. If you are looking for a product with fragrance, this is not the product for you, just an FYI. More and more of us are looking for unscented products, though, to reduce allergies. The clothes came out clean and fresh with the comforting certainty that there are no harmful chemicals on myself or my loved ones. The Stain Remover was not able to remove the grease stain on my shirt, however it may be effective for less stubborn stains. 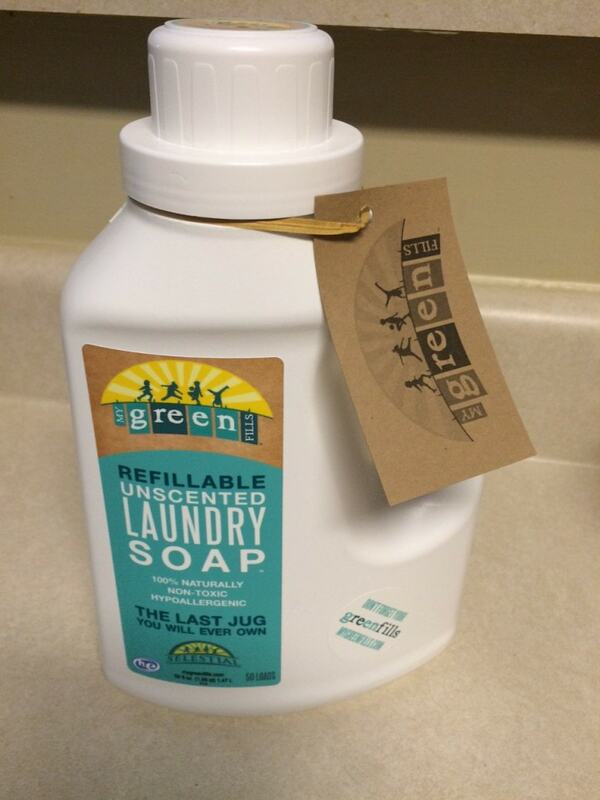 My Green Fills doesn’t just stop at non-toxic laundry detergent, though. They also have non-toxic insect repellant, too! I’ll Fly Away 100% Naturally Non-Toxic Insect Repellent is made purely with organic essential oils and is DEET free. Apply to clothing, hair, and skin for up to 6 hours of protection from mosquitoes, flies, no-see-ums, and chiggers. Selestial Soap also sent me bottles of the I’ll Fly Away Insect Repellent to try. I was pleased to see that this product is safe for babies and I was thankful to have it for my 10 month old son while we were at the ball field. I felt confident spraying him, and I was happy with its effectiveness. Also included in their all-natural product line are an SPF 30 Sunscreen and an SPF 30 Sunscreen/Insect Repellent combination. They provide a refreshing light fragrance from the essential oils making these products a pleasure to use. If you are looking for safe, non-toxic products for you and loved ones, My Green Fills and I’ll Fly Away are definitely worth looking into. And with their free offers, there is no better time to give Selestial Soaps a try! These look really interesting. Will have to check them out. Love to find new ‘green’ products.